They are an Australian breed, but their exact origins are unknown. 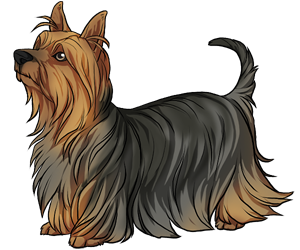 They are believed to be a cross between the Skye Terrier and the Yorkshire Terrier. The breed was introduced to America during World War II, after servicemen brought some home with them. Other names include Sydney Silky and Australian Silky Terrier. Recognized by the AKC in 1959.